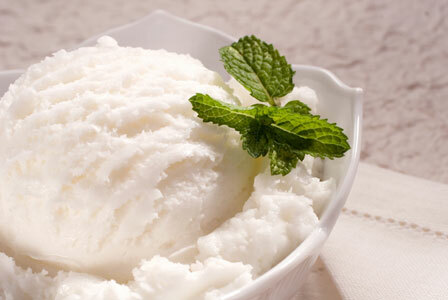 If you’re in the mood for ice cream but can’t be bothered leaving your air-conditioned house, why not try making it yourself? Follow these steps and you’ll be licking that cone before you know it. If you want to cool off with an ice cream, don’t go running off to the store. Chances are you already have all the ingredients, so why not just make it at home? That way, you’ll skip the supermarket queues and all of the nasties in ice cream that has been sitting on the shelf for who knows how long. Here are two step-by-step guides to making ice cream using just the tools you have in your own kitchen — and guess what? It’s easier than you think! Need a vanilla ice cream right this instant? Well, with a few ingredients, a couple of zip lock bags and a little bit of manpower, you could be enjoying your treat within minutes. Combine the milk, sugar and vanilla extract in the sandwich-size zip lock bag. Add the ice and salt to the smaller bag and seal tightly. This will likely open when you are shaking the bag but don’t worry about it. Place the smaller bag into the larger bag and seal the larger bag tightly. Shake the bag as hard as you can (being careful not to pop it open) for about five minutes or until it becomes the consistency of ice cream. Tip: Before you start shaking, wrap a towel around the bag so that you don’t freeze your fingers. That’s it! Take the ice cream out of the bag, serve and enjoy. If you can hold out a little longer for your ice cream fix, this recipe will deliver a smooth and creamy treat that’s worth the wait. The best thing? You don’t even need a machine. Prepare your ice cream mixture and leave it to chill over ice. Pour the mixture into a deep baking dish or plastic bowl and put it in the freezer. Check the progress after around 45 minutes. As the mix starts to freeze around the edges, remove it from the freezer and stir it thoroughly with a spatula. Be sure to break up any still-frozen sections before putting it back in the freezer. Keep checking and stirring the mixture every 30 minutes until the ice cream is frozen. Expect the whole process to take anywhere between two and three hours. Tip: For the best results, try using a hand-held electronic mixer. If you don’t have one, a sturdy spatula and a bit of manual effort will work just as well. Once the ice cream is ready, transfer it to a covered storage container until you want to serve it. Note: Since it doesn’t have any of the preservatives that store-bought ice cream does, homemade ice cream is best eaten within a couple of days. That shouldn’t be a problem, though, right?